Even one twisted tooth can negatively impact your confidence and compromise your oral health. Fortunately, our team at the Michael Bixby Center for Advanced Dentistry in Red Bank, NJ offers various treatments in cosmetic dentistry to address misaligned, crooked, or twisted teeth. Here, we discuss treatment for a twisted tooth, and determine which method will be effective in meeting your specific needs. Whether your concerns are aesthetic or functional, we can design a customized treatment plan to straighten your teeth and deliver the smile you desire. Aesthetically, a twisted tooth can become an unwanted focal point, drawing attention away from your beautiful smile. Many patients who have a twisted tooth find that they feel self-conscious, and often cover their mouths with their hands when laughing or smiling. Depending on the severity of the situation, a twisted tooth can also affect the health and function of your smile. When teeth are in proper alignment, everything works harmoniously for optimal oral health. If a tooth is crooked or twisted, it can cause issues with your bite, resulting in discomfort or pain. Misaligned teeth can even cause adjacent teeth to shift out of place. The most common and effective treatment for a minor twisted tooth is a porcelain veneer. 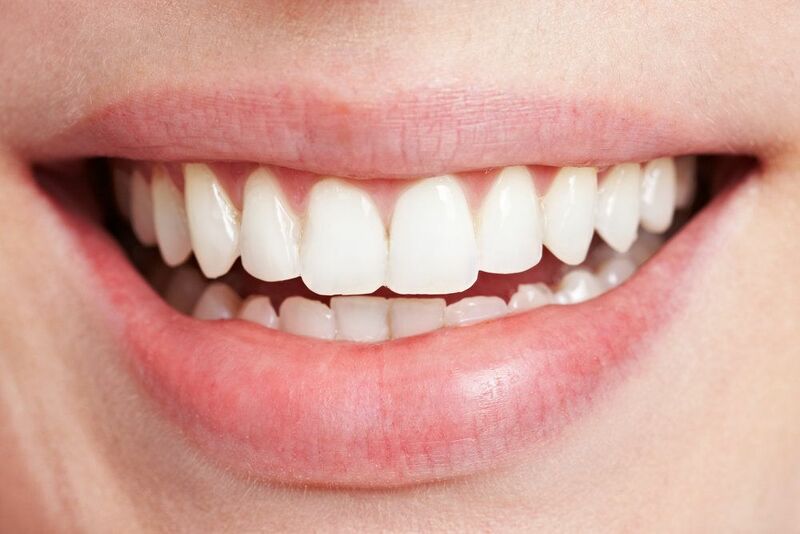 Commonly used to conceal slight cosmetic flaws such as chips, cracks, and discoloration, porcelain veneers can also treat twisted teeth, making them appear straight. Slightly translucent and color-matched to your surrounding teeth, veneers are ultra-thin shells that adhere to the front surfaces of the teeth for a brilliant, natural-looking smile. If a twisted tooth is too severe to be corrected with cosmetic procedures alone, orthodontic treatment may be the optimal solution for you. Invisalign® is an excellent way to straighten teeth in a discreet, inconspicuous manner. Using a series of clear, custom, thermoplastic trays, the Invisalign® system can correct twisted teeth without the need for traditional metal braces. As with any dental issue, treatment can vary dramatically depending on certain factors such as age, the extent of the problem, and the patient’s oral health. For example, if a twisted tooth is directly caused or intensified by gum disease, then periodontal care will be recommended in addition to any cosmetic treatment. Moreover, if bruxism is an issue, a custom mouth guard may be advised. When addressing a twisted tooth, the root cause must be treated as well. Otherwise, the problem can persist, seriously compromising the outcome of treatment. If you are self-conscious about your smile due to twisted, crooked, or misaligned teeth, schedule a visit with Dr. Bixby. He can help you determine treatment options that will achieve your dental goals. We look forward to helping you attain a straight, dazzling smile so you can regain the confidence you need to be your best self. To reach a team member, you can contact us online anytime, or call our office at (732) 224-1160.